- Spiaggia più vicina a 300m. - Ristorante più vicino 100m. - Supermercato più vicino 200m. - Il più vicino mini-market 200m. - Punti di interesse 100m. - Stazione di polizia 500m. - Ufficio locale Eos a 500m. - Gaios Paxos, codice postale: 49082., GPS: (39. 195958, 20. 187337). - Ferro e amp; tavolo da stiro. - Materiali per la pulizia. Pulitore: due volte a settimana, incluso il tuo arrivo. Biancheria: una volta a settimana. Asciugamani: due volte a settimana, incluso il vostro arrivo. - L'orario ufficiale per il check-in è alle 13:00. - L'orario ufficiale per il check-out è alle 10:00. Possiamo essere flessibili con il check-in e il check-out su richiesta. L'addetto alle pulizie può trovarsi nella proprietà anche dopo l'orario ufficiale di controllo e rimarrà fino alla completa pulizia della proprietà. Fabulous Apartment on a beautiful island . This apartment is situated in an excellent position on Paxos. Its has lovely views from the balcony on the first floor - great for people watching and the boats and yachts coming in and out of the harbour. The apartment is quite large and very well equipped - even down to non essentials including boxes of tissues paper towels etc. The owner also left a mosquito spray which by the is a valuable item to take with you when visiting the island as we found out after a number of bites. The living area is very comfortable with good quality furniture and you can eat in or out as a table and chairs are provided outside as well. Wifi is provided and had an excellent signal. The bedrooms are well decorated and beds very comfortable. Everything was very clean and a maid came a few times whilst we were there which was over 8 days to change the towels and sheets and empty bins etc. The owner left bottles of water and a selection of cakes which was very useful and thoughtful. All in all I would highly recommend this property and we would certainly return again. Stunning little property - with very helpful owners . If you go to Gaios - check out this place . Loved our stay and the owners couldn’t have been more helpful - fully recommend going to this property ! Many thanks for your holiday feedback. I am delighted that your stay with us was enjoyable. The whole Eos Team works hard to ensure that your holiday is a success, so it is always nice to hear positive feedback from our clients - it makes all the effort worthwhile. We look forward to welcoming you back another time and wish you all the best. Fabulous fabulous. Great location, breakfast bar. Come ice cream parlour bar right out side your door. Hired a rib for 2 days incredible. Visited so many places. Mongonissi for an amazing Greek evening. 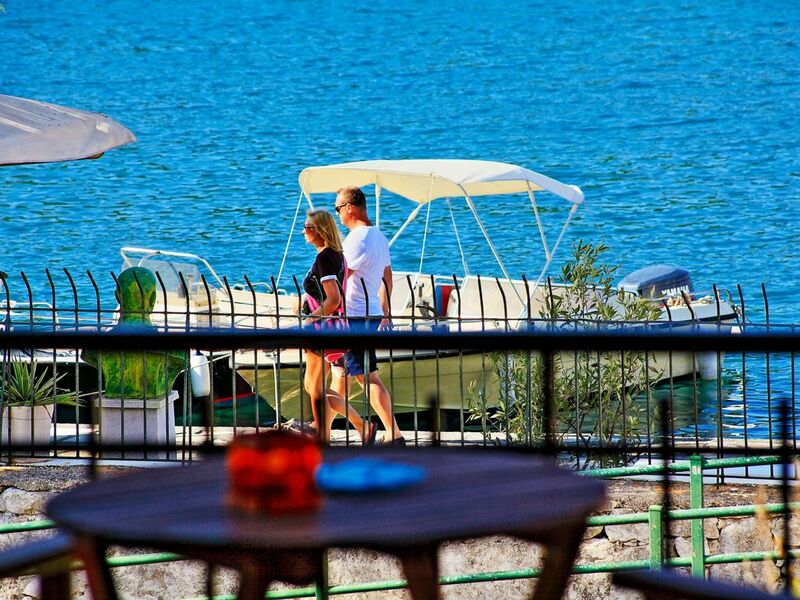 Ninos in lakka, is a must say no more. Anti-Paxos a swim for a coffee. A trip across to Parga the mainland. Loved every minute. Casa molto comoda con spazi esterni ed interni piacevoli e spaziosi. La posizione è perfetta in zona centrale ma molto silenziosa. Great apartment, fantastic location and friendly host, would definitely recommend! !